If you are staying home to celebrate the New Year with your kiddos, check out some fun ways to celebrate New Year's Eve with kids. There are some fun ideas like setting up your own balloon drop and setting all of the alarms in the house to go off at midnight. 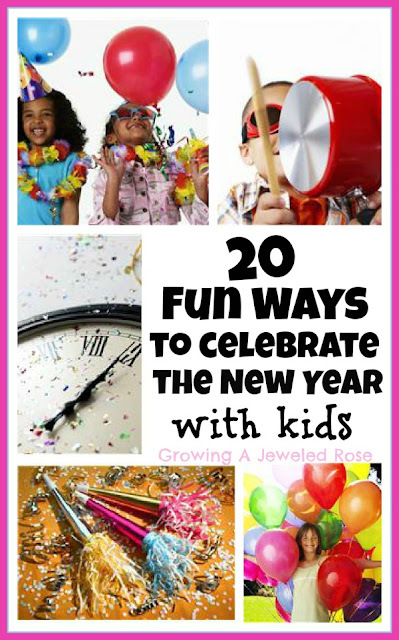 You can check out the full lists of 20 fun ways to celebrate the new year with kids over at Growing A Jeweled Rose.